1-8 June 2018, in Almaty a two-day training for young leaders was held. The main aim was to teach young people the planning of social projects for their further implementation. The UNESCO Cluster Office in Almaty conducted a training for 30 young representatives using the new tool "UNESCO Project Planning". The training was held in a discussion form, where each participant expressed his/her concern for social problems and developed a project within his/her vision. Thus, young participants divided in several groups, formed ideas on issues of inclusive education, inter-ethnic conflicts in the region and protection of the environment. 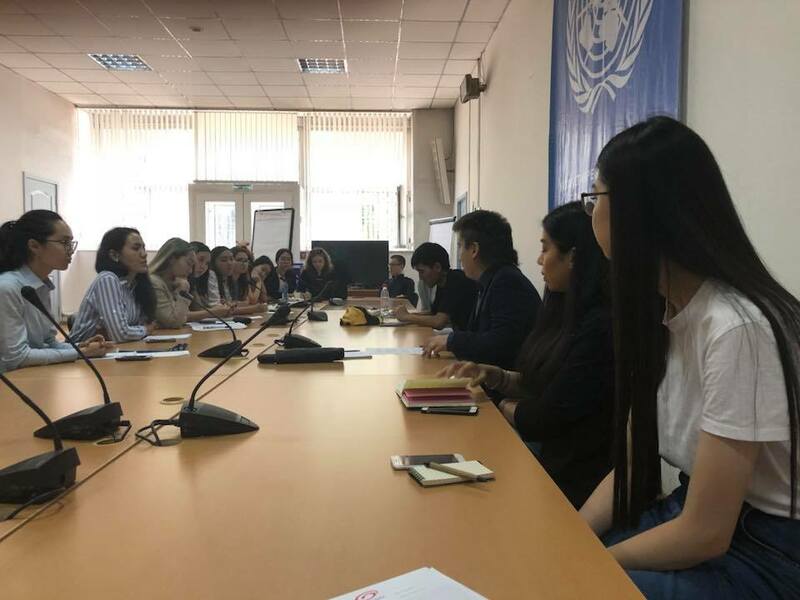 Having obtained certain skills and knowledge, using the new toolkit "UNESCO Project Planner", young participants were able to transform their ideas into the project proposals for subsequent fundraising. - Monitoring and reporting on the project. The training was implemented within the framework of the UNESCO Operational Strategy for Youth for 2014-2021 and the United Nations Global Agenda 2030 / Sustainable Development Goals.